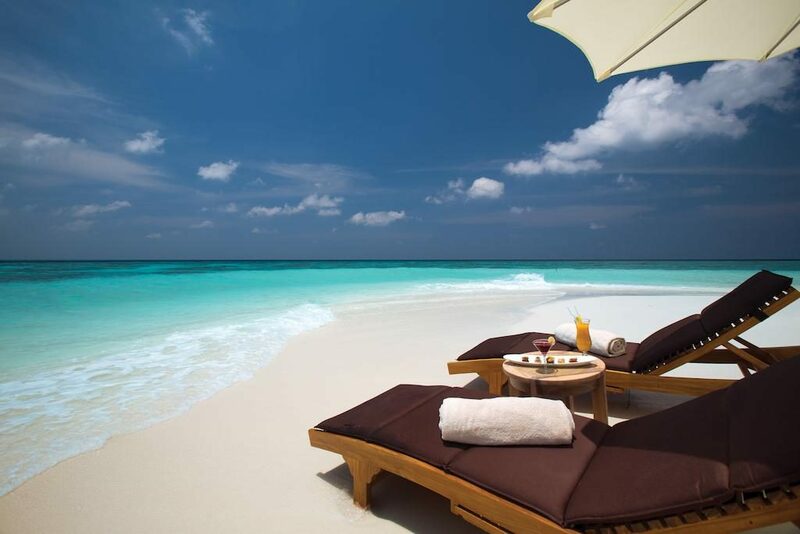 The premium All-Inclusive resort Atmosphere Kanifushi has established itself as one of the best all inclusive resorts in the Maldives. 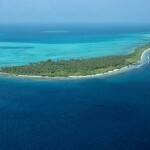 It is located a 30 minute seaplane ride from Male Airport. Their approach to luxury is simple: only the best is good enough. The Platinum Plus package includes all meals, premium drinks as well as activities, meaning guests can leave their wallet at home and only focus on enjoying themselves. 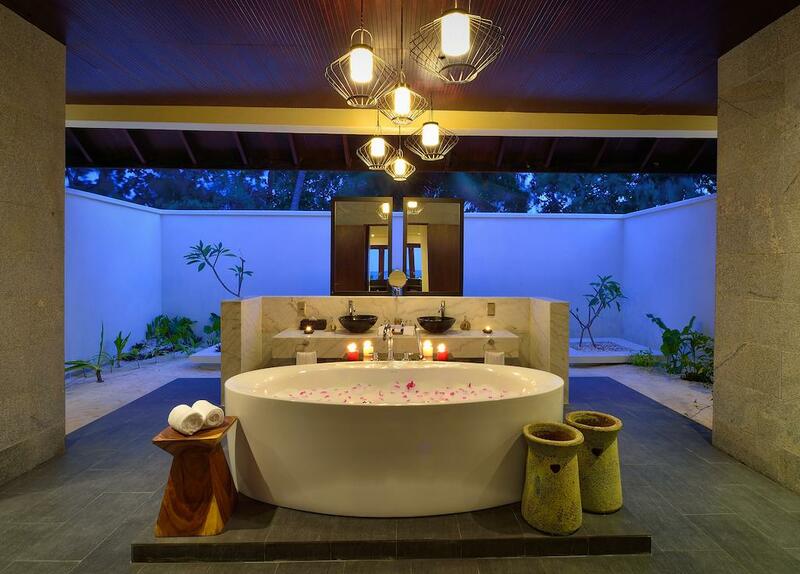 The stunning villas and suites will take your breath away. 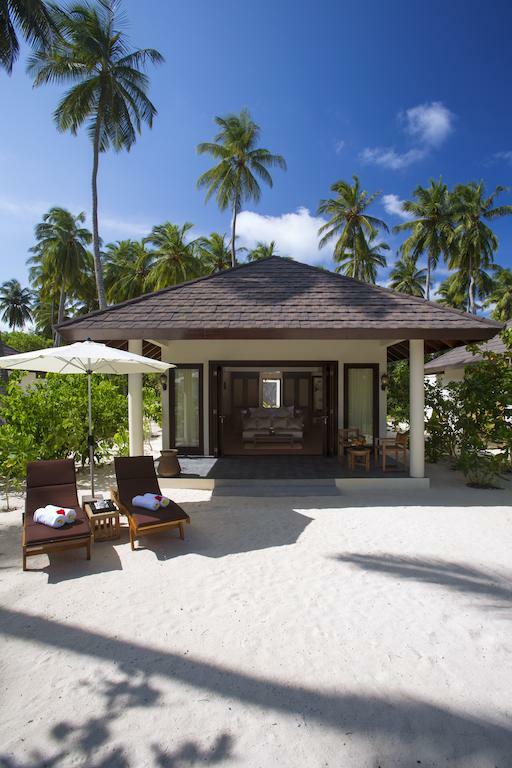 Featuring exclusive beachfront locations, privacy and wonderful interior, Atmosphere Kanifushi is the ideal choice for the discerning traveller wanting to experience a Maldives holiday out of the ordinary. 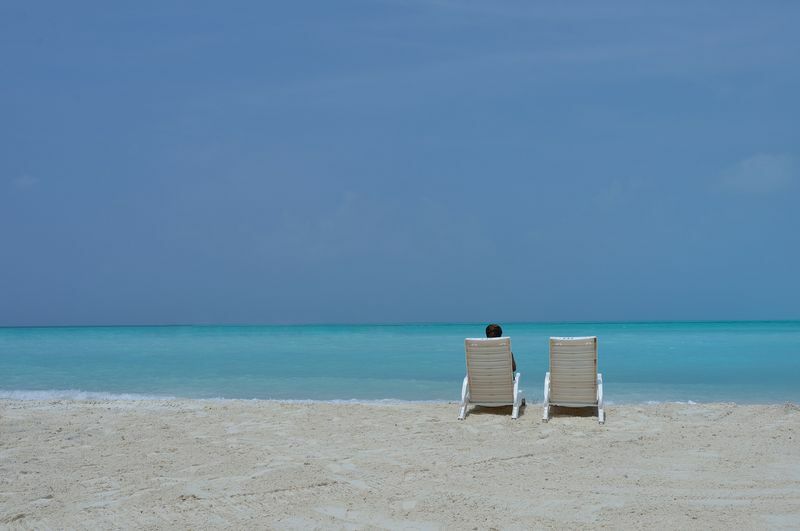 As there is an abundance of activities to choose from – including watersports, tennis and scuba diving – there is not one dull moment to be had on this island of incredible beauty. 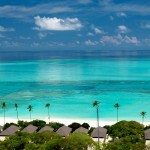 The popular Sunset Beach Villas (100 sqm) are located along the stunning beach and enjoy direct beach access. 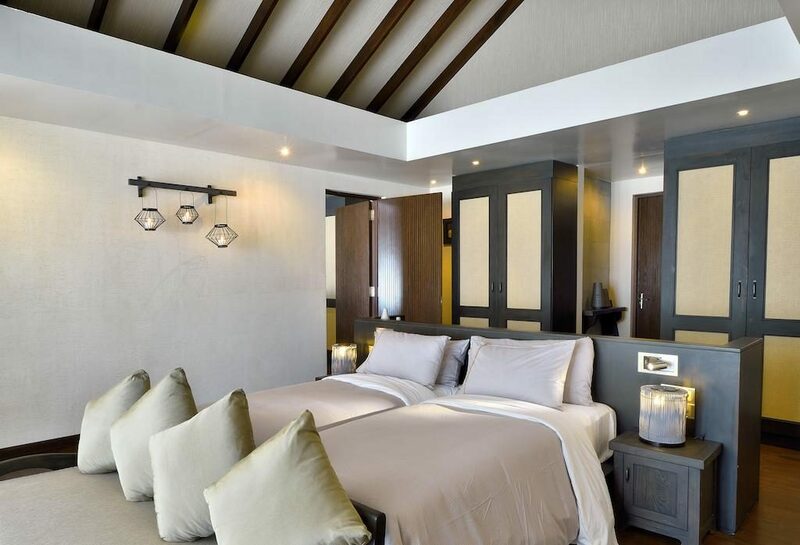 Features include a private veranda, queen size bed, wonderful open-air bathrooms, daybed and high ceilings. 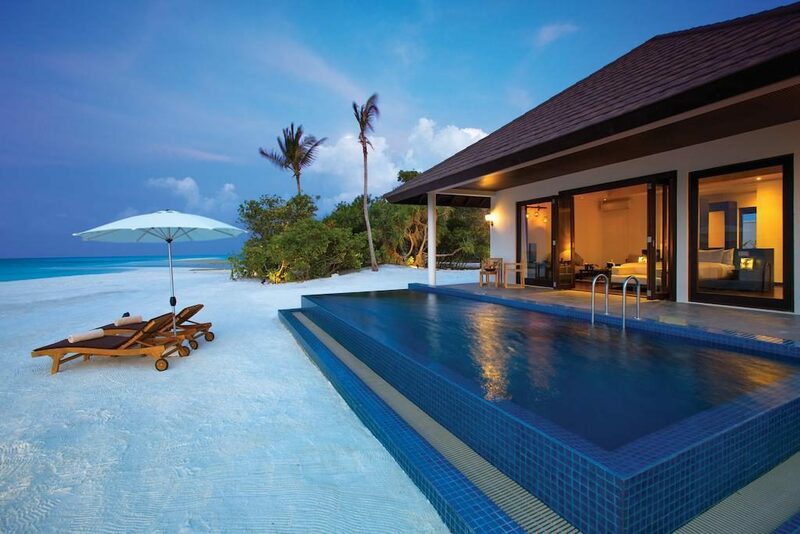 This villa can accommodate three adults. 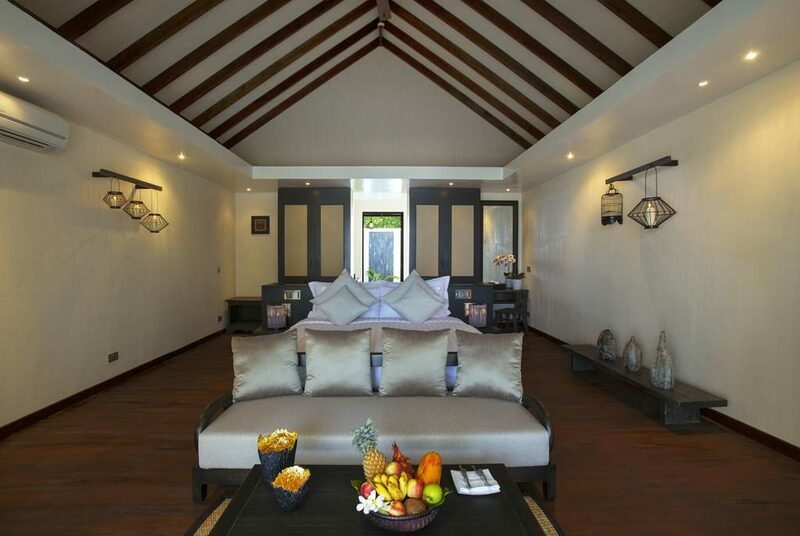 At 192 sqm, the Sunset Pool Villa is the impressive signature villa of the resort. 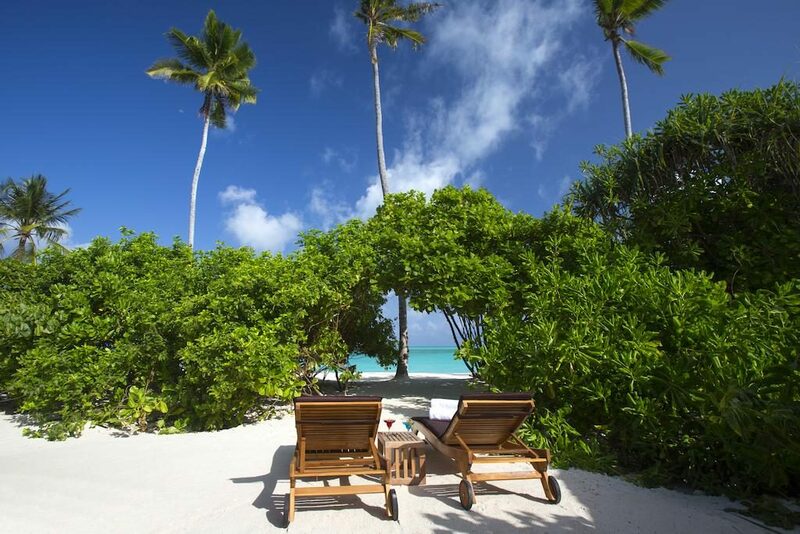 These ten villas enjoy secluded locations, making for a blissful holiday. 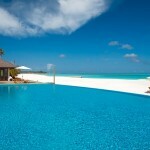 Features include a private veranda, a large private pool, sun loungers, daybed and direct beach access. 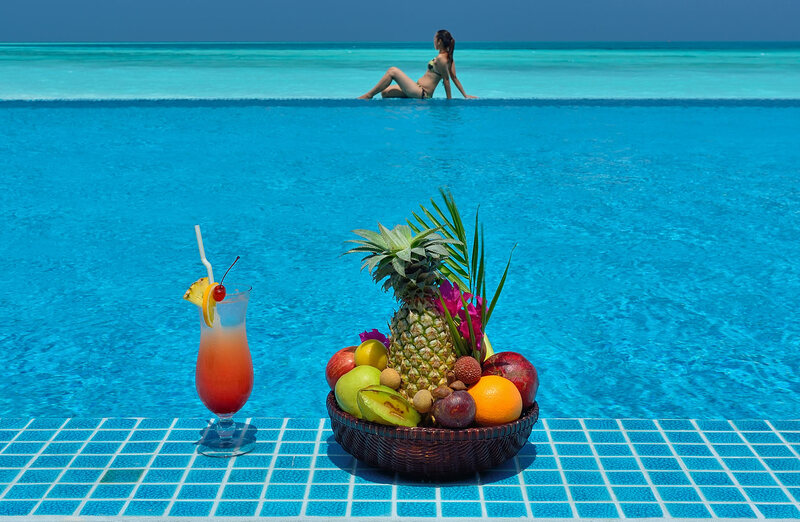 Guests who are staying in the fabulous Sunset Pool Villa may enjoy exclusive benefits such as direct-check in at the villa, butler service and exotic fruit daily. 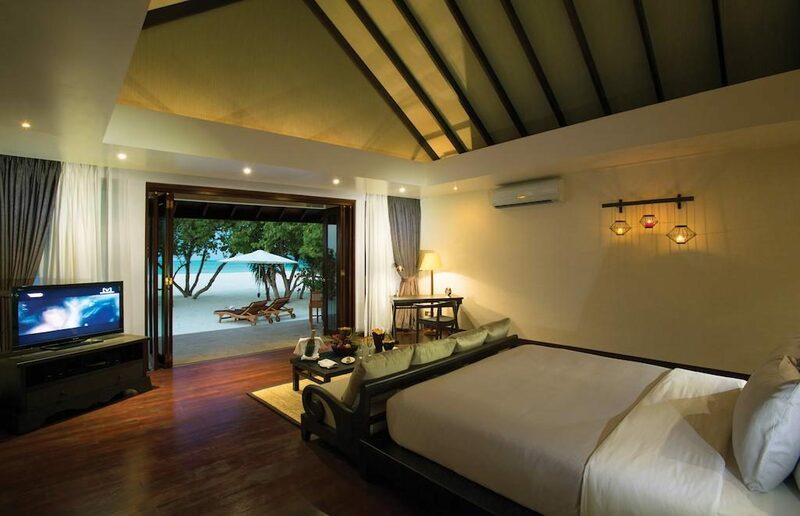 Choose the wonderful Sunset Junior Suite (132 sqm) for a Maldives holiday with a difference. 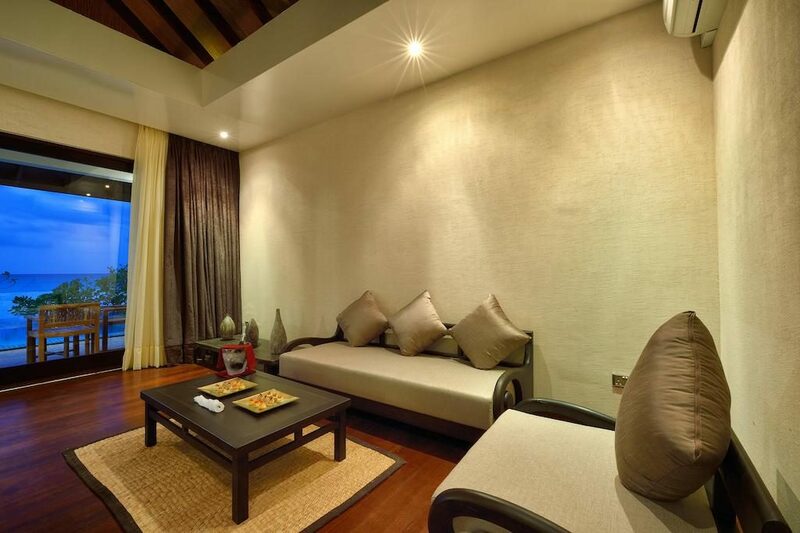 These suites are located only steps away from the shore and have private verandas with spectacular beach views. 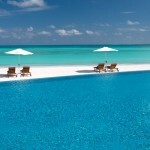 Additional features include an open-air bathroom, beach loungers, spacious layout and a whirlpool bathtub. Guests staying in the Sunset Junior Suite will enjoy benefits such as sparkling wine at arrival – making it ideal for honeymoon couples. 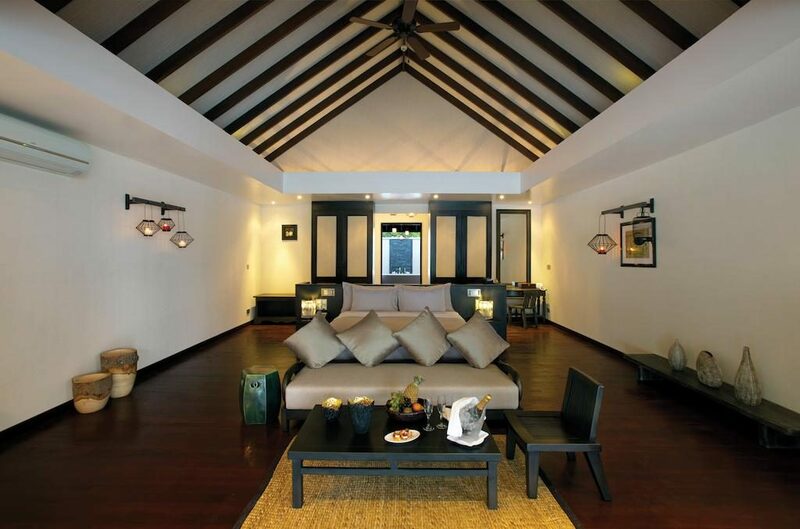 The Sunset Family Villa is the ideal choice for families as it’s the largest villa of the resort (200 sqm). 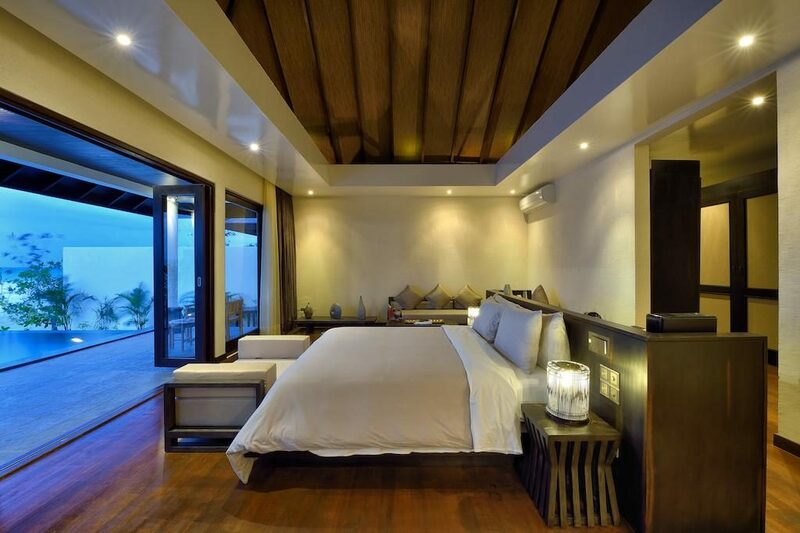 These villas consist of interconnecting Beach Villas and thus include the same features. 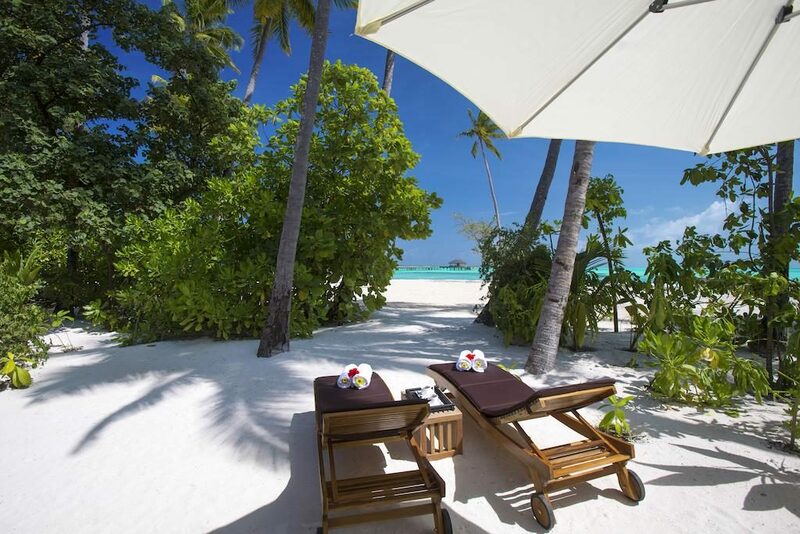 Most facilities and activites at Atmosphere Kanifushi are included in the Platinum Plus package, meaning that guests have the freedom of leaving their wallet at home and fully enjoy their stay. 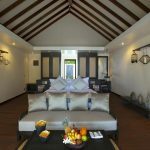 Facilities include three large swimming pools, a PADI dive centre, non motorised water sports, flood-lit tennis courts, a gymnasium and a kids club. 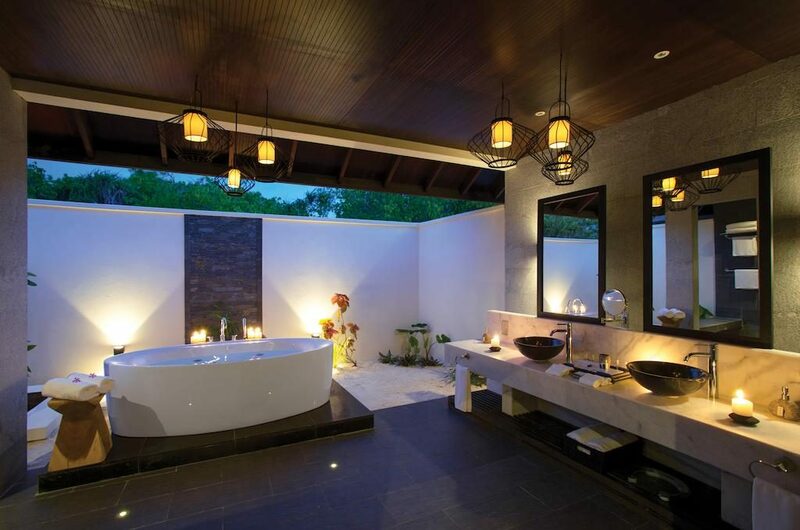 Akiri Spa by Mandara is a tranquil oasis to which you can retreat for relaxing pampering sessions. 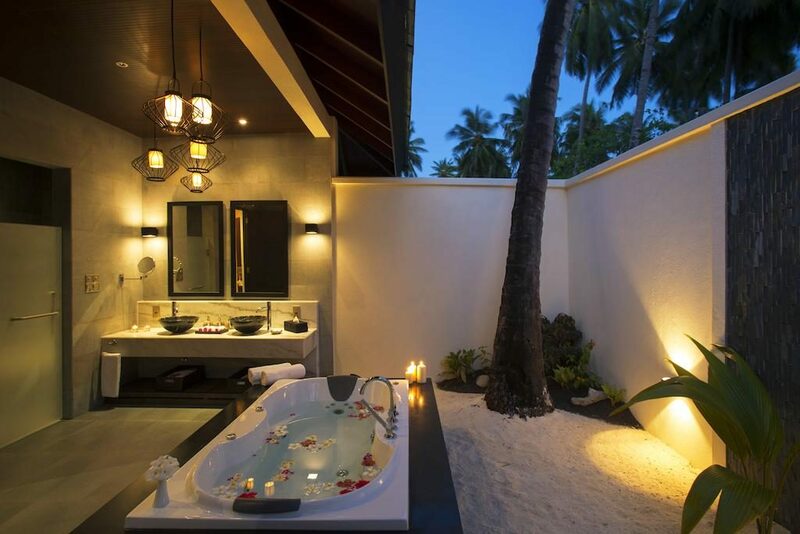 This spa features 12 treatment rooms located in tropical gardens, as well as a sauna, steam room, Jacuzzi and a beauty salon. 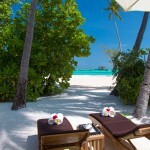 The resort usually runs an introductary special offer on 2 for 1 on couples massages. 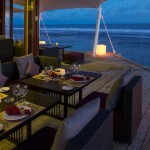 The various restaurants available at Atmosphere Kanifushi provide a culinary silver lining to your Maldives holiday. The Spice (Main Restaurant) – The popular main restaurant of the resort serves a very large range of delicious buffet style cuisine. This includes a range of live cooking stations of the highest quality. Just Veg – The first vegetarian restaurant in Maldives boasts an impressive meat free menu. 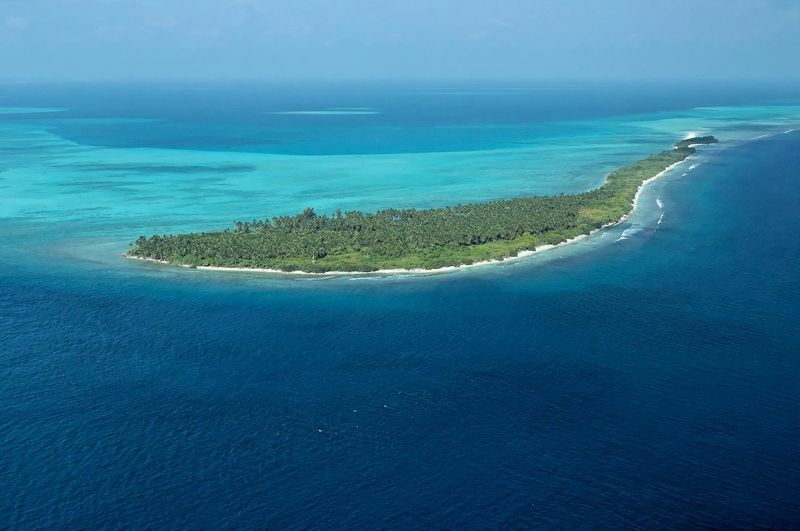 Voted number one restaurant in the Maldives on trip advisor, this a la carte restaurant is available everyday to all guests for lunch and dinner (pre booking required). 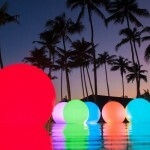 The Sunset – Overlooking the gorgeous lagoon, this is where you can enjoy Asian Mediterranean fusion cuisine. One meal here (every 7 days is included). 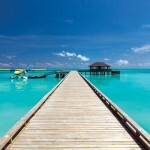 Teppanyaki Grill – One of the best Teppanyaki experiences in Maldives. Don’t miss the hot sake! 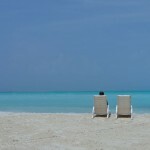 This is not included in your platinum plan all inclusive. The Liquid – The main bar is the ideal spot to relax and leave your worries behind while you enjoy an exotic cocktail (or two!). Fresh home made icecream is also served here all day (with a choice from 8 amazing flavours) – included in your platinum all inclusive plan.